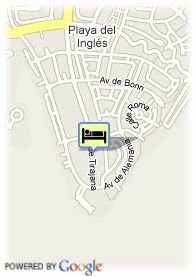 Avenida de Tirajana, 1, 35100 Playa del Ingles, Spanje. 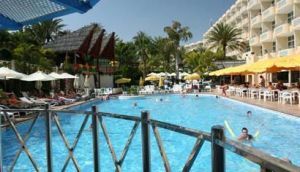 This family hotel is located in Playa del Inglés, very close to the Dunes of Maspalomas and around 900 metres from the beach itself, which can be reached using our free bus service. IFA Catarina Hotel has all the facilities for a relaxing holiday. Here you will find your own haven of peace and quiet in the large, breathtaking subtropical gardens which comprises of two swimming pools, two jacuzzis and a waterfall. It is an excellent choice for accommodation, cuisine and leisure activities.